Your heating or cooling system is on the fritz – what do you do? HVAC repair help can be tricky for homeowners, especially when you’re not experienced with these systems, or don’t have a regular contractor you have worked with before. When your heating or cooling system isn’t working properly, don’t sweat it – HVAC.com gives you a complete run down of what you need to know regarding HVAC repair help. When your furnace, heat pump, or air conditioner isn’t working properly, many people jump to the worst-case scenario that something serious is wrong. In many cases, a simple fix is needed – one that you can solve yourself! These HVAC repair help troubleshooting tips may help you get your system back on-line quickly, sparing you a costly service fee. 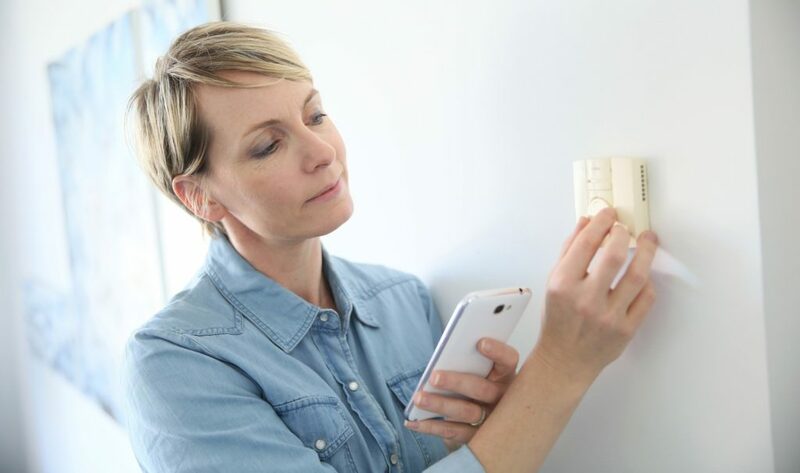 If these troubleshooting tips don’t solve the issue, you should turn your HVAC system off and call for professional HVAC repair help. Continuing to operate a malfunctioning heating or cooling system could make the issue work, requiring more extensive and expensive HVAC repair help. Certified Contractor– Our Certified Contractor program shows you the local HVAC repair help pros who meet our high standards for quality workmanship and customer service. NATE-certified technicians– NATE is an independent certifying organization serving the HVAC industry, testing the knowledge and skill of HVAC technicians. Outstanding customer reviews- great HVAC contractors have an excellent reputation among customers and the community. Recommended by a trusted source- Ask your friends, family, or neighbors for recommendations of contractors they have worked with and had a pleasant experience – or who to stay away from! Licensed and insured- HVAC companies need to hold proper licensing with the state to operate legally. They should also be fully insured to protect you as well as their workforce. Qualified for your brand of HVAC system- Many HVAC manufacturers have “certified” or “authorized” installation or service programs, showing consumers that the HVAC company has received specialized training to work on the brand of equipment. To find a reliable, trustworthy HVAC repair help contractor, there are a few qualities you want to look for. HVAC.com’s Contractor Directory will provide you with information on local HVAC contractors near you. HVAC.com makes it easy for homeowners to find the HVAC repair help they need with our easy-to-use Contractor Directory! Find reliable, local heating and cooling professionals who can tackle even the toughest repairs your system needs. Just enter your ZIP code and you’ll receive a comprehensive list of local HVAC contractors ready to help you out!